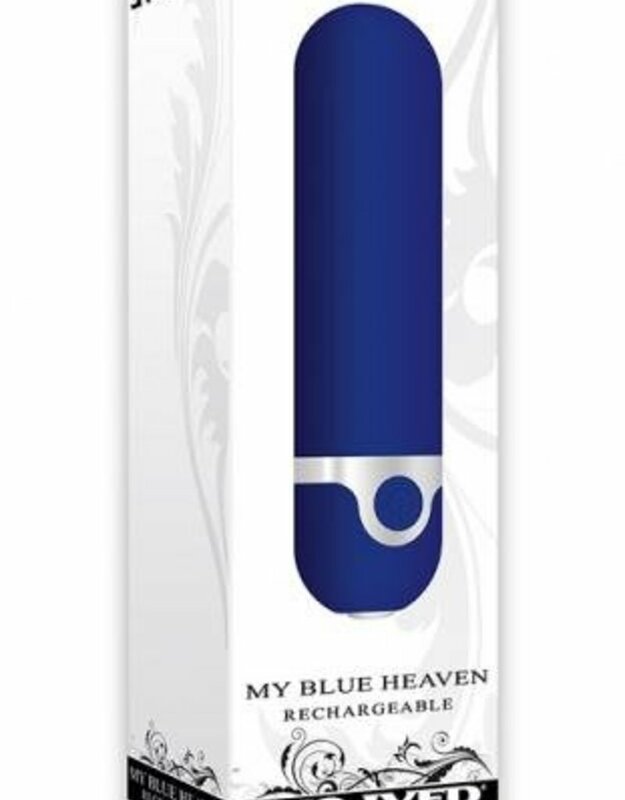 Find your bliss with this true blue bullet that is powerful and discreet, and measures just a little bit longer than your average artillery. With a traditional shape and simple design, it’s an instant nightstand classic that fully recharges with the USB cable included. 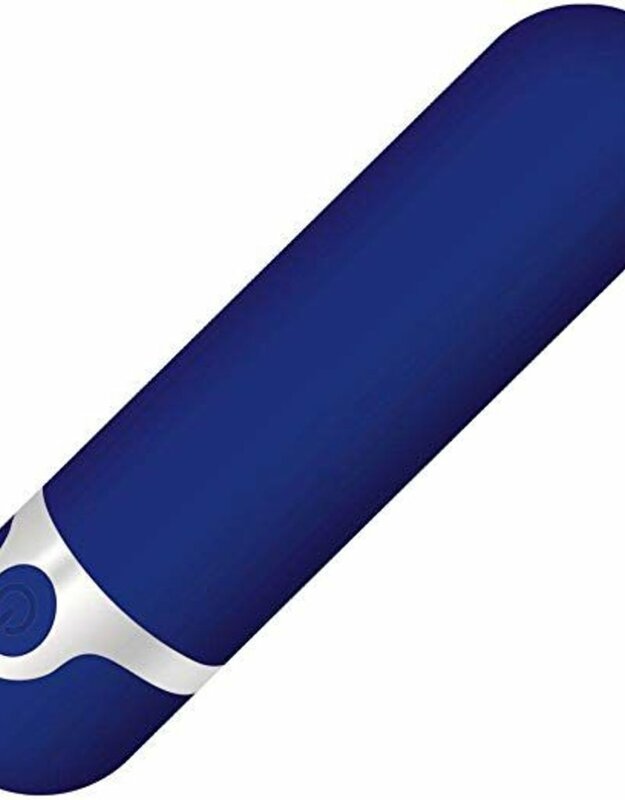 Enjoy 10 vibrating functions and speeds and take it underwater for extra fun bath time! Clean with Evolved toy cleaner and a warm water rinse. 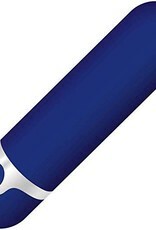 Features powerful long bullet. Classic traditional shape. Made from durable ABS plastic with a polyurethane PU coating for smooth feel. 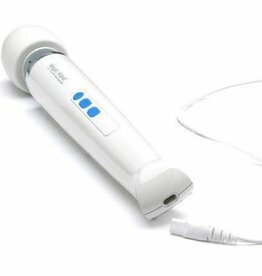 10 powerful vibrating functions and speeds. Easy to use one button control. Height 3.48 inches, depth .86 inch, width .86 inch. Weight 1.3 ounces. Phthalate free and latex free. Fully rechargeable, USB cable included. 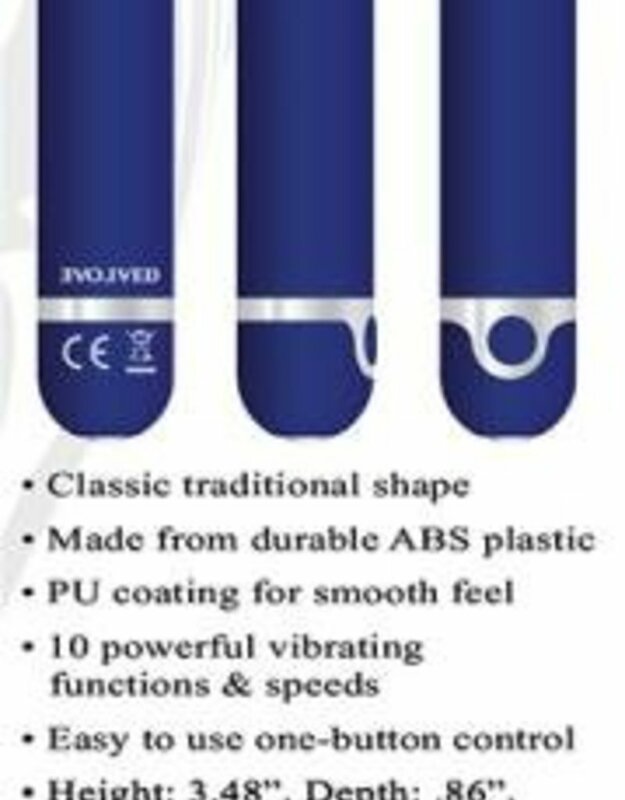 Fully waterproof vibrations and submersible.